This Standard applies to stationary gas turbines (single-shaft and multi-shaft turbines) used to drive generators and other machinery. The functional devices recommended herein generally reflect a standard equipment level while leaving scope for additions and enhancements. Close attention should be paid to sensible coordination when planning, ordering, installing and operating such equipment. This standard defines the devices only in terms of their desired effect and performance, but not in terms of their design. Provided that an identical effect and performance is achieved, the system that is most cost-effective for the specific application can be chosen irrespective of whether such system is a mechanical, hydraulic, pneumatic or electrical system. 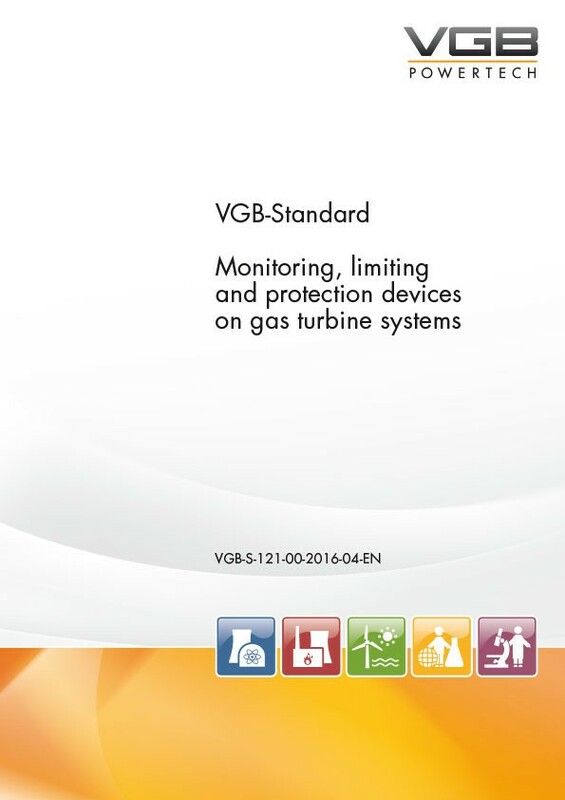 Monitoring, limiting and protection devices for gas turbine units are aimed at avoiding or detecting operating conditions that are impermissible or inefficient for the turbines. Open-loop and closed-loop controls normally ensure that all process variables stay within their specified limits during operation. However, this is not always fully ensured when components of the turbine generator set or automated devices fail; if no protection devices are available, such events may lead to major damage to machinery or danger to persons. When an important process variable exceeds its permissible range, this will in most cases be signalled to the operating staff in the form of an alarm signal. This does not entail an automated intervention. The operating staff decide at their discretion whether and how to continue operation of the plant. If it is possible to continue operation of the turbine generator set for a defined short period of time despite a malfunction, then an automated shutdown will be initiated. In such a shutdown process, load is gently taken off the turbine, and the turbine is no longer available for further operation. Some gas turbines change to a higher load transient when certain protection devices are activated, thereby causing the load to be taken off the turbine faster than usual. Some external disturbances impacting on the turbine generator set (e.g. underfrequency) can be addressed by electrically isolating the generator from the grid by opening the generator or unit circuit breaker. In this case, the gas turbine generator set continues running but in the idle condition or in station-service mode, and is available without delay for resynchronisation as soon as proper grid conditions have been restored. The most dangerous incidents require an immediate shutdown of the gas turbine by the fastest possible closing of the fuel emergency stop valves. As a consequence, the generator will be isolated from the grid. Any water or steam injection will likewise be switched off as fast as possible. During the starting phase, the starting system will also be switched off.